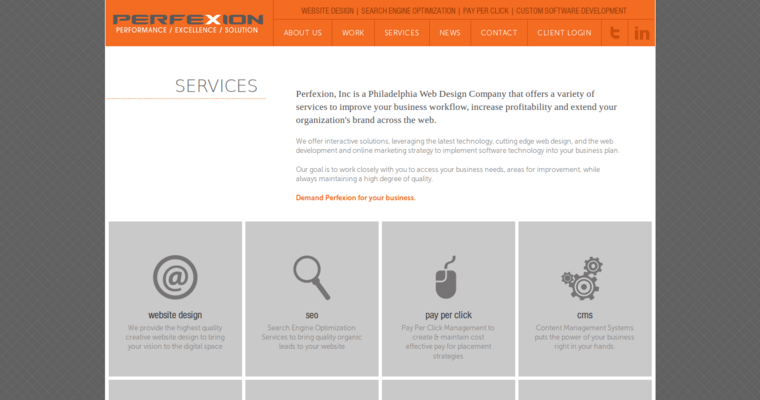 Perfection is a full scale digital web design company that offers a host of services to promote business workflow and increase productivity. 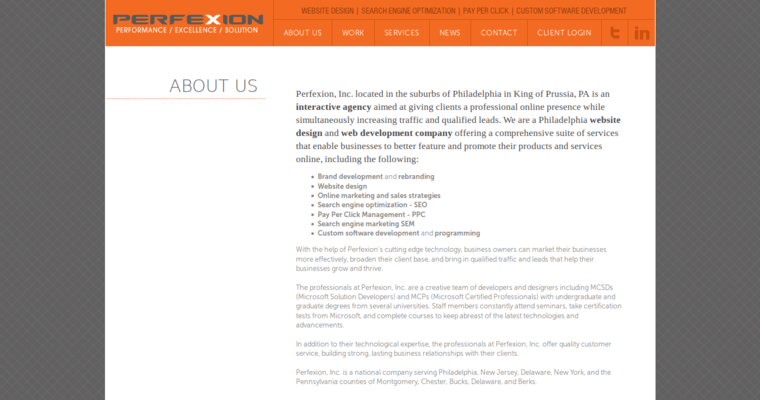 This company was established in 2010 and is operated out of Philadelphia, Pennsylvania. 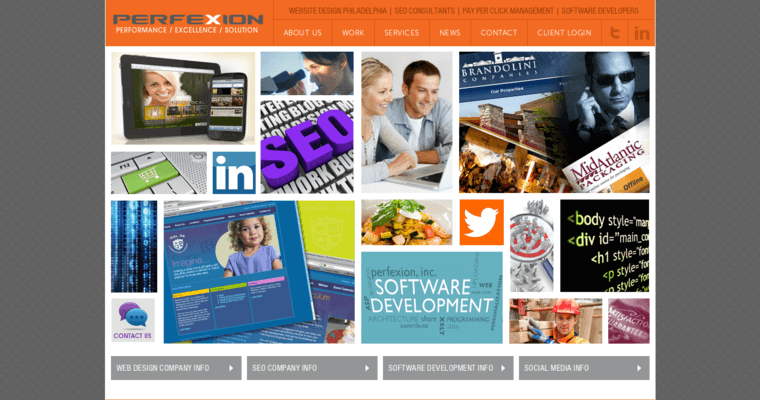 Perfection offers a host of digital design services which include the following: professional web design and custom solutions logo and graphic design search engine optimization link building social media marketing (LinkedIN, Twitter, Facebook) email marketing web hosting and domain name booking PHP and ASP.net programming marketing strategy paid search re-marketing display advertising collateral design content management systems (WordPress, Sitefinty, Kentico) responsive web design customer engagement automation software web management Perfection has worked with many notable clients including Beaux Finishing.